Thanksgiving is almost here! It’s a holiday for enjoying family, friends and lots of delicious food. Be sure to share good food safety practices to keep your Thanksgiving dinner safe. Here are some simple tips to keep this holiday meal safe. 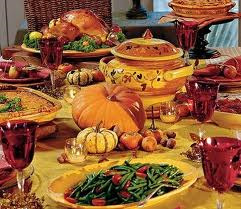 • Wash your hands with soap and water before handling the turkey or any food. • Thaw the turkey in the refrigerator at 40 degrees F or below. Allow approximately 24 hours per 4-5 pounds of turkey. A very large bird may take up to 5 or 6 days to thaw. • Wash hands with soap and water. • Make sure food prep areas and surfaces, utensils and plates are clean. • Use separate cutting boards for meats and fruits/vegetables. • Avoid putting cooked food on cutting boards that have touched raw meat. • Avoid wiping your hands that have touched raw food with dish towels. • Keep raw food away from vegetables and side dishes that will not be cooked. • Stuffing the turkey is not recommended. Bake the stuffing separate. • Never bake the turkey below 325 degrees in the oven. • Use a food thermometer. The pop-up timer is not a reliable method to determine if the turkey is cooked to the minimum internal temperature of 165 degrees. • Let the turkey set 20 minutes before carving to allow the juices to set. • Stuffing should also reach a minimum temperature of 165 degrees. • Keep hot foods hot and colds food cold. • Keep the pumpkin pie and any cold desserts in the refrigerator. • Use clean serving spoons for each dish. • Wash hands with soap and water before handling food or eating. • Carve the turkey with a clean carving knife and fork. • Store leftover food within two hours after serving, including pumpkin pie. • Use several shallow containers to store leftovers. • Store in the refrigerator if eating within 3 days. • Keep in the freezer for longer storage. Label and date. • Reheat all leftovers to 165 degrees F. Gravy should be brought to a rolling boil. Author: Beth Stefura, M Ed, RD, LD, Family & Consumer Sciences, Ohio State University Extension, Mahoning County, stefura.2@osu.edu.